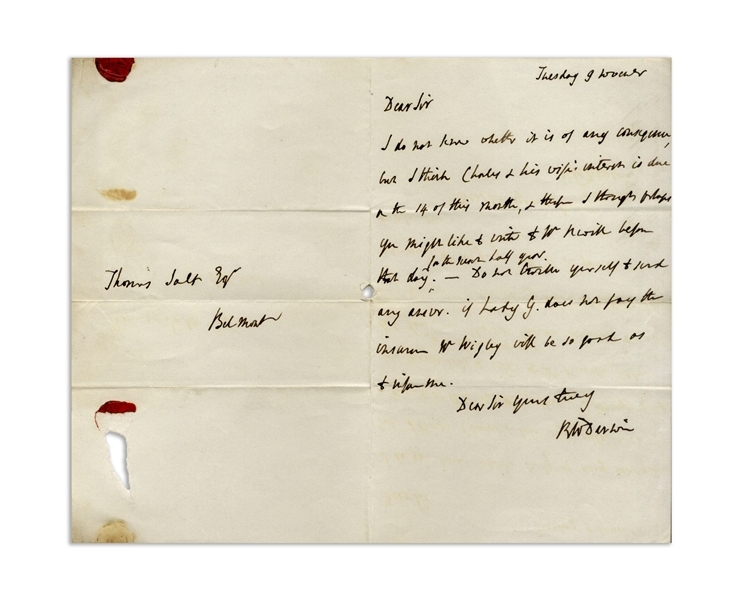 Rare letter by Charles Darwin's father, Robert Darwin, who funded his son's expedition on the ''Beagle'' - where Darwin conceived of his theories on evolution, and also whose investments allowed Charles to pursue a career as a naturalist. 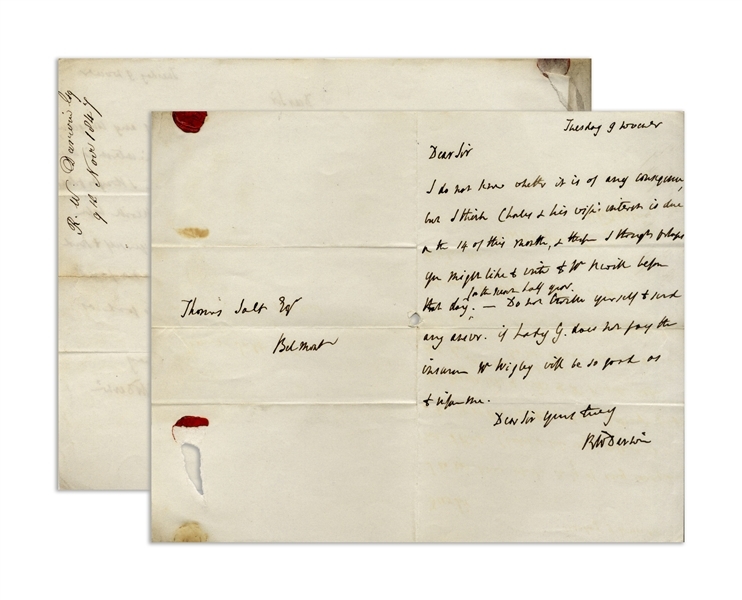 The intertwined financial relationship is evident here, as Robert Darwin writes to Thomas Salt, the family's financial advisor as to his son's obligations. Dated 9 November (1847 as docketed), letter reads in part, ''I do not know whether it is of any consequence, but I think Charles & his wife's interest is due on the 14th of this month...RW Darwin''. Single page on card-style bifolium stationery measures 4.5'' x 7'' as folded. 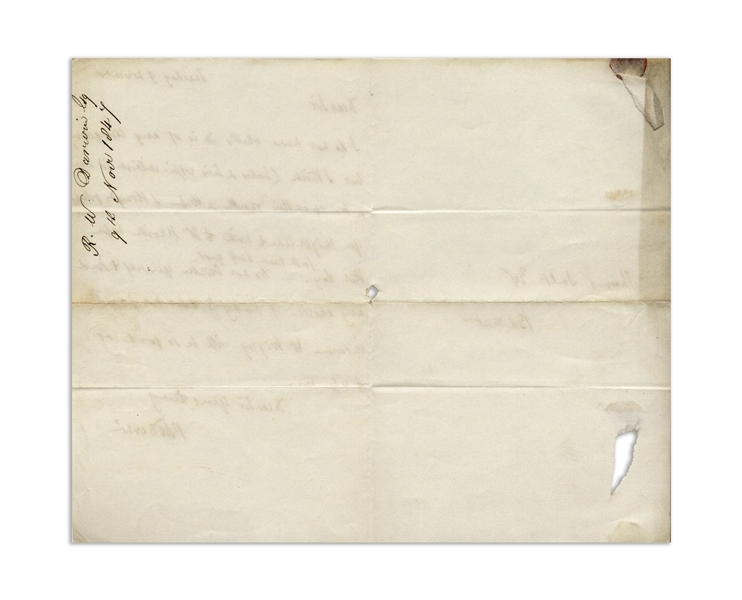 Holes on last page primarily from red wax seal, otherwise near fine. Please register or login if you want to bid. © Software Copyright 2004-2017 SimpleAuctionSite. All rights reserved.